Did you know that cardiovascular disease accounts for around 810,000 deaths in the United States every year? That’s around 2,200 Americans every day and 1 every 40 seconds. Over 90 million Americans are currently living with some form of cardiovascular disease. Heart disease, which includes coronary heart disease, stroke, and hypertension, is the number one cause of death in the U.S. Almost 800,000 Americans had a heart attack last year and over 100,000 of them died. Shocking, right? While there is a genetic component that can accompany heart disease, we possess a substantial amount of control over the health of our hearts and overall bodies. Since February is Heart Health Month, we would like to share with you a wealth of valuable heart health information, heart healthy lifestyle tips, and how visiting us and being proactive about your oral health is also important for you heart. There are seven factors that greatly contribute to your cardiovascular health according to the American Heart Association. The seven factors, “Life’s Simple 7,” are not smoking, physical activity, healthy diet, body weight, and control over blood sugar, blood pressure, and cholesterol. Five million people worldwide die every year from smoking. One in every three adults do not engage in any leisurely physical activity. The average American consumes upwards of 170 pounds of refined sugar a year. It is estimated that 40% of Americans are obese. Around one in every three Americans have high cholesterol. Nearly half of Americans who have high blood pressure do not have it under control. 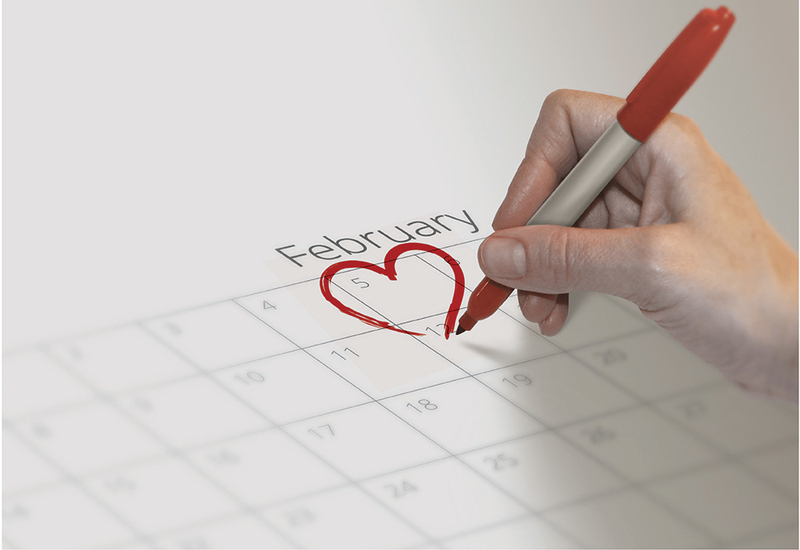 So, let’s dedicate February to taking control of our own heart health, sharing what we’ve learned about heart health with others, and improving the shocking heart health-related statistics! Little lifestyle changes and knowing the key signs and symptoms of cardiovascular disease can make a life of a difference.